Mount Argopuro or Argopura Volcano is one of the volcano with elevation 3,088 meters, located in Probolinggo, East Java Indonesia. Argopuro Mountain is in Iyang Mountain range that has various peaks under the supervision of Sub BKSDA (Natural Resources Conservation Center) of Jember region. 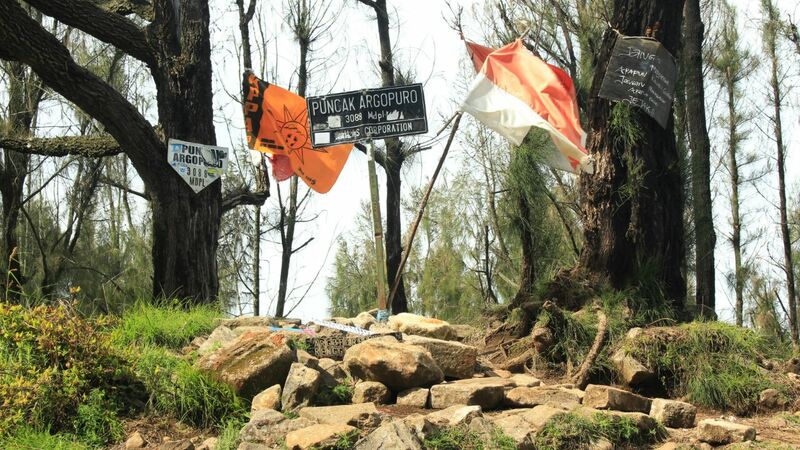 Mount Argopuro has the longest climbing path than other mountains like Mount Semeru climbing, Mount Bromo Trekking and Ijen Crater treking and other islands of Java. It has a historical relic from prehistoric times until the Japanese occupation. Arjuno Mountain possible reached from Surabaya, Malang and Banyuwangi. The route to Argopura Mountain from Bremi Village is the most recoomeded through Baderan, Besuki regency or through the Bremi village, Probolinggo. But generally the climbers use the Bremi village Line of Probolinggo toward Baderan Situbondo. taking this route for the reasons due to has closer to the summit. To find the route from Bremi village, You can take the public Bus normally available 2 times a day from Probolinggo Bus station at 06.00 AM and 12.00 PM. The bus will take us directly to Bremi, Krucil for 2 hours. Arriving at Bremi, You must report to KSDA office (Nature Conservation Agency; Indonesia) and POLSEK (regency police) of Krucil, Bremi to ask for climb permission. The next day after breakfast, take shower, Check Out, Start trekking cross the rocky roud to the Ayer Dingin Plantation (Cold Water Plantation), approached the Plantation gate turning right into Taman Hidup Lake (1,900 m). Travel through natural forests production and pine forests and You will find many slopes that have a high slope. 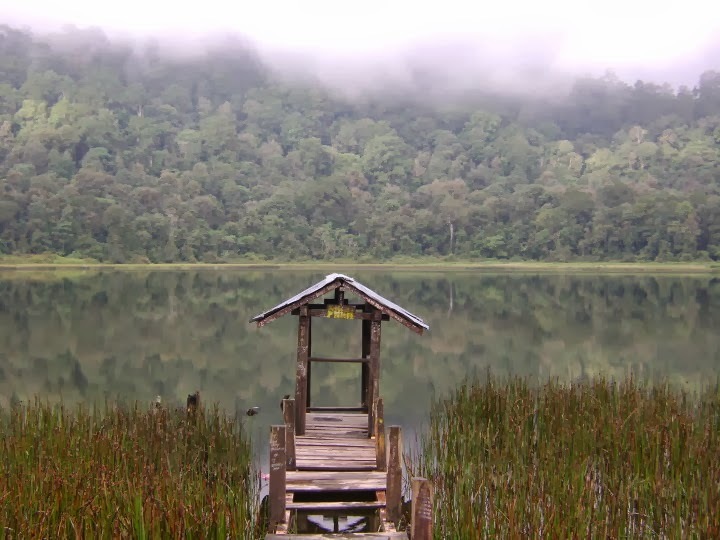 The journey takes 4 hours climbing, You will arrive at Taman Hidup Lake (a very beautiful lake surrounded by mountain slopes that have a dense vegetation. The diversity of aquatic animals can be encountered as well as many animals wandering around. 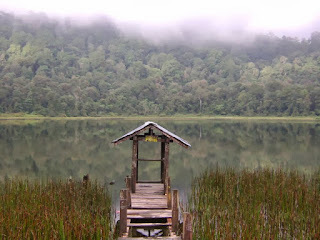 Taman Hidup Lake is very beautiful, but do not ever clap your hands or load scream because the fog will come down and close the way to Your campsite. Do not joke around the camp because there are many mystical things that still reside there. Caution !! Along the way, especially at the beginning of the journey through the Bremi path we will encounter many Leeches and fire-fire plants on either side. So, very suggested to protect yourself with long-sleeved shirts and gaiters. After about 1 hour 45 minutes to the summit, You will pass the Embik Rawa area, where there is a river which is a place to drink of mountain goats. Along the way there are plenty of places to set up tents, and the water is plenty. It takes 1 hour to reach Rengganis Peak (2,920 m.dpl). The trip to Mount Argopuro about 20 hours to climb and 11 hours for return, so You must stop step by step to set up a tent on the way. Therefore, warm clothes and sleeping gear (sleeping bags, mattresses, tents etc.) and cookware must provided. If You are interested to enjoy Mount Argopura trekking, You must have a good health because Argopuro trekking has 4 days 3 nights duration. Hope You bring complete equipments such as jacket, gloves, long pants, trekking pole, hat and trekking shoes. For detail information about Argopura trekking package, price and facility, You can visit Our Contact.